A. Devices/medications selected and provided by sponsor will be used in 3 live cases. B. Presentation of device(s) in the Parade of New Devices and Future Solutions Session (if required by Sponsor). C. Sponsor will have the right to organize one Symposium on Wednesday 25th April 2018 and Friday 27th sponsored by the unrestricted grant from sponsor. D. Free of charge advertisments of sponsor devices/medications displayed on the side screens located in the Conference Centre Hall. E. Company booth located in the primary area at the Conference Centre Hall. The area of the booth will alwys be negotiated individually with sponsor representative. F. Free access to conference for six Company representatives. G. All year (April 2018 – March 2019) free of charge advertisment od sponsor devices/medications used during WCCI 2018 with active link to sponsor Website. A. Devices/medications selected and provided by sponsor will be used in 2 live cases. E. Company booth located in the secondary area at the Conference Centre Hall. The area of the booth will alwys be negotiated individually with sponsor representative. F. Free access to conference for five Company representatives. A. Devices/medications selected and provided by sponsor will be used in 1 live case. C. Free of charge advertisments of sponsor devices/medications displayed on the side screens located in the Conference Centre Hall. D. Company booth located in the tertiary area at the Conference Centre Hall. The area of the booth will alwys be negotiated individually with sponsor representative. E. Free access to conference for four Company representatives. F. All year (April 2018 – March 2019) free of charge advertisment od sponsor devices/medications used during WCCI 2018 with active link to sponsor Website. A. Presentation of device(s) in the Parade of New Devices and Future Solutions Session (if required by Sponsor). B. Free of charge advertisments of sponsor devices/medications displayed on the side screens located in the Conference Centre Hall. C. Company booth located in the side area at the Conference Centre Hall. The area of the booth will alwys be negotiated individually with sponsor representative. D. Free access to conference for three Company representatives. 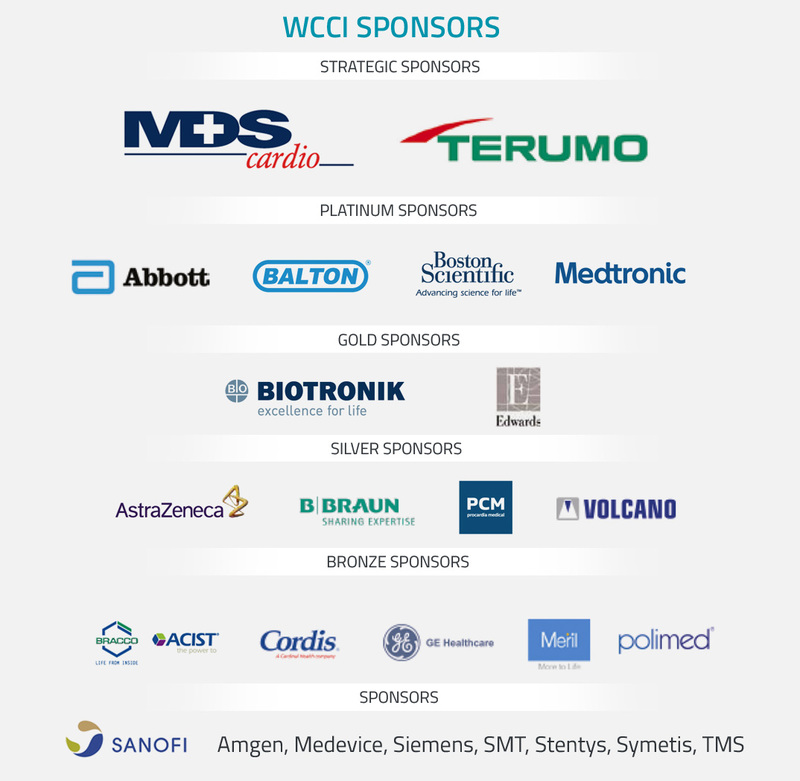 E. All year (April 2018 – March 2019) free of charge advertisment od sponsor devices/medications used during WCCI 2018 with active link to sponsor Website. D. Free access to conference for two Company representatives. A. Free of charge advertisments of sponsor devices/medications displayed on the side screens located in the Conference Centre Hall. D. Free access to conference for one Company representative.